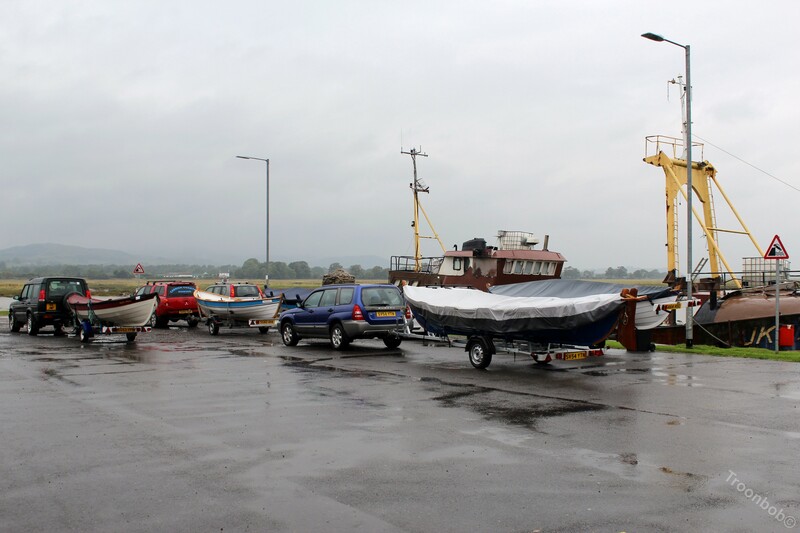 The third Nith Navigation time trial saw five skiffs appear on a wet morning, rendezvous for bacon rolls and cox’s brief at Glencaple. 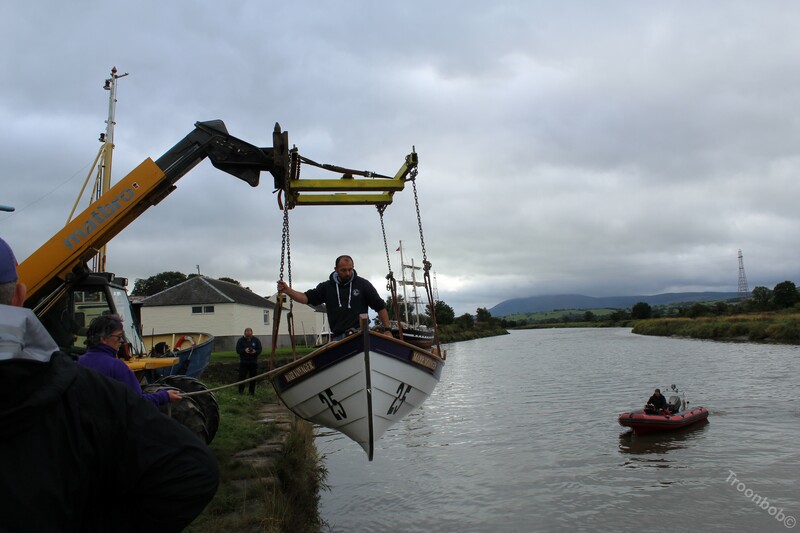 The skiffs complete with crews are assisted with launch on a very silted slipway lifted by tele- handler. Setting off on 30 second intervals with a very fast incoming tide the skiffs very quickly disappear from view first away Annan crewed with four young lads who had previously rowed only once or twice , next Amble, first time visit for a very cheery group from across the border, followed by the usual suspects Carrick and Troon last away Boatie Blest. 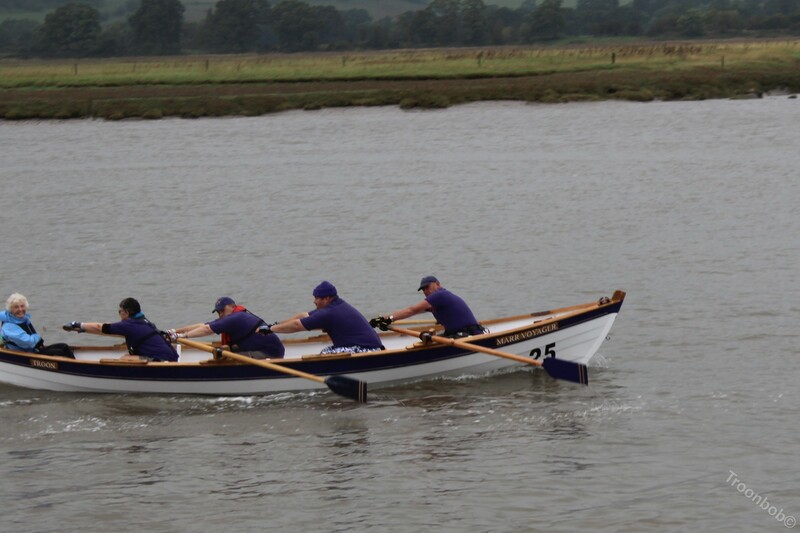 The rain eased and even stopped before we arrived at Dumfries a fast paced race testing rowers and cox’s, rowing in company back down river about 3 miles to The Swan at Kingholme Quay for Barbecue and results. 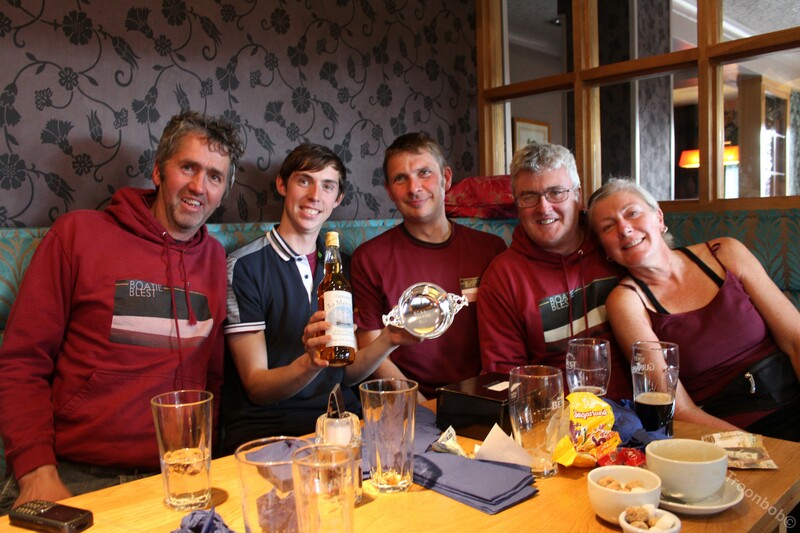 Presented with winners Quaich and Bottle of whiskey were Boatie Blest with a time of 43 mins. Also given a bottle with Roy Kerr’s magnificent Malouine on the label were runners up Troon 45 min 30s ,Amble 46 min 15s ,Annan 50 min and Carrick 51 min 30s. A good natured race over six miles split by a tad over eight minutes. 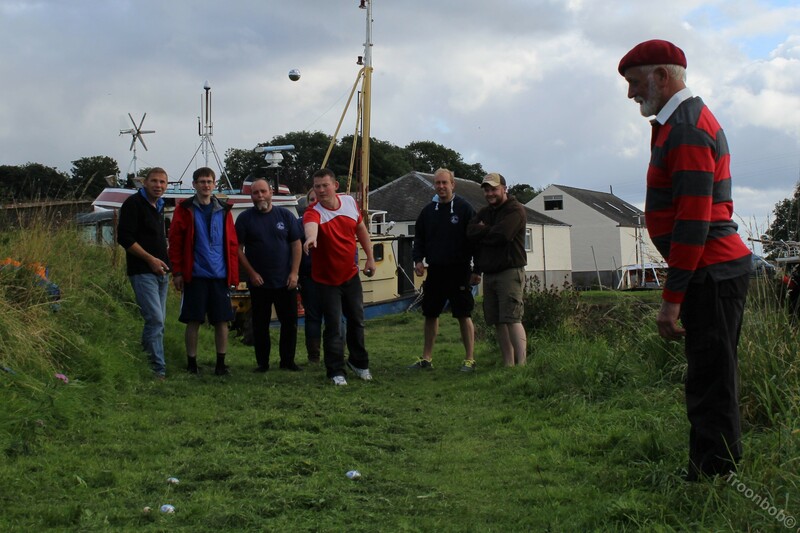 Following the presentation Roy carrying a large French flag and dressed to suit led the rowers out for a Boulle match with Troon taking the honours. 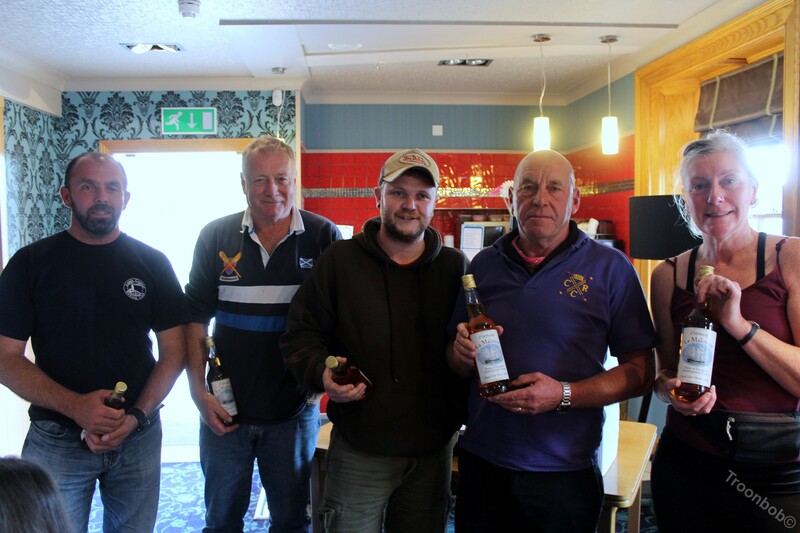 Once again Roy Kerr organises another great event with top local support of Ian Cook and many others providing safety boats and lifting gear at both ends.